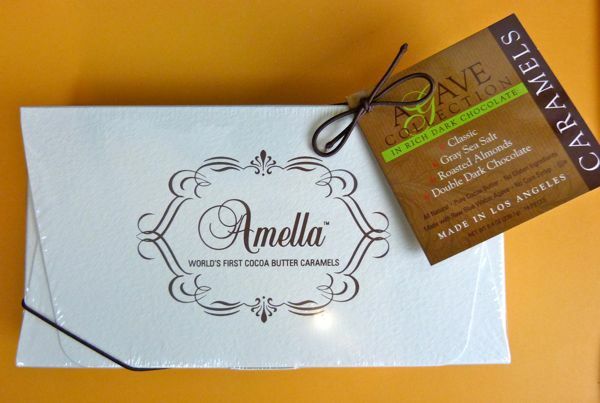 Amella (a family run business in El Segundo, CA) claimed to have made the "World's First Cocoa Butter Caramels." I don't know if this statement was true or not, but I know that Amella caramels had a unique taste and creamy texture that I hadn't encountered before. 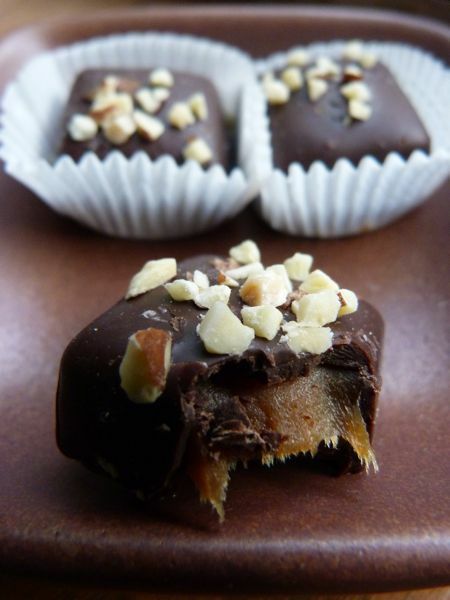 Today's Roasted Almonds caramels were part of an agave caramel assortment box that contained 4 different flavors. 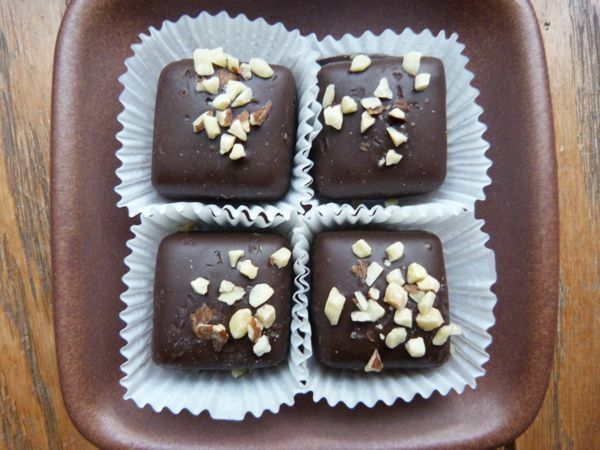 I reviewed the three other flavors (Original, Double Dark Chocolate, and Gray Sea Salt caramels) on this site earlier this month (December 2012). Today was Day #5 of Chocolate and Almond Theme Week.